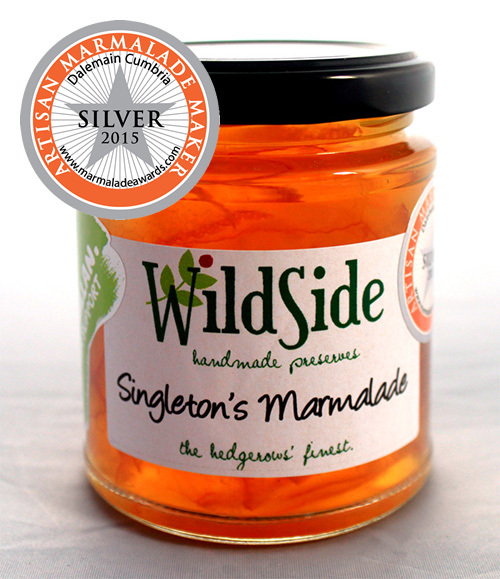 Marmalades represent a challenge to our foraging aspirations. 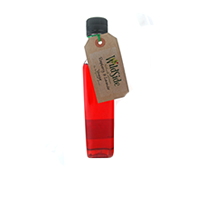 No matter how hard we look we have yet to find any citrus fruits growing along England's towpaths! 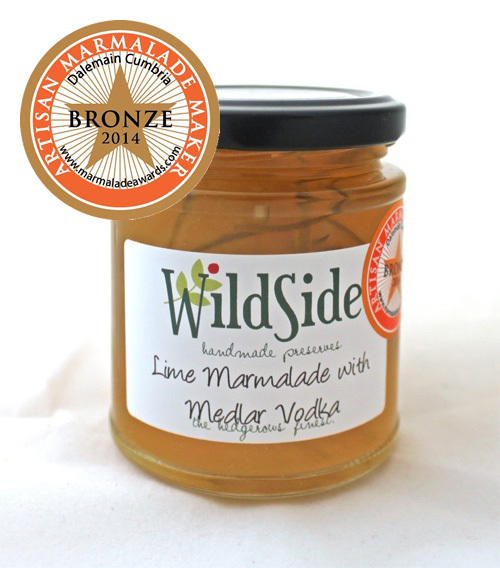 This is a problem because we love our marmalades and so, undaunted, we often add a shot of fruit infused alchohol to give it the unique Wild Side twist. 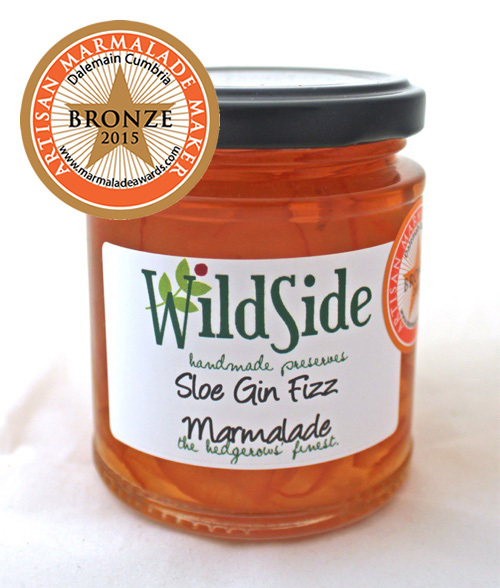 Not all our marmalades contain alchohol, but our Sloe Whisky Seville Marmalade and Lime Marmalade with Medlar Vodka are firm favourites with our customers and both have won accolades at the national Marmalade Awards. 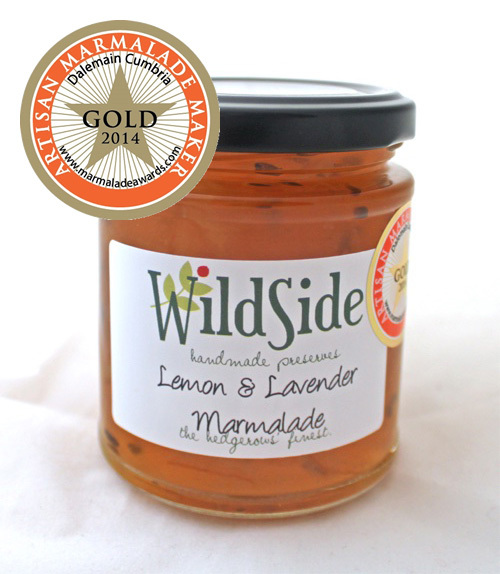 We were particularly pleased to win a Gold Award for our Lemon and Lavender Marmalade in 2015. When it comes to marmalades we even break our own rules and incorporate lines with no wild ingredients whatsoever just because we can. Rebellious or what?! 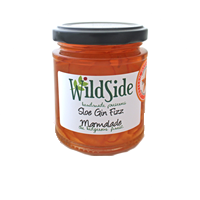 A lot of marmalades are made with Seville Oranges but these fruit are only available in January and February. 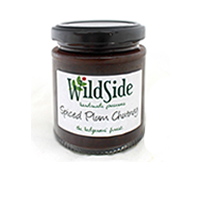 This means that most of our marmalade making takes place between Christmas and Easter, which conveniently fills the winter season when there are few trading opportunities. 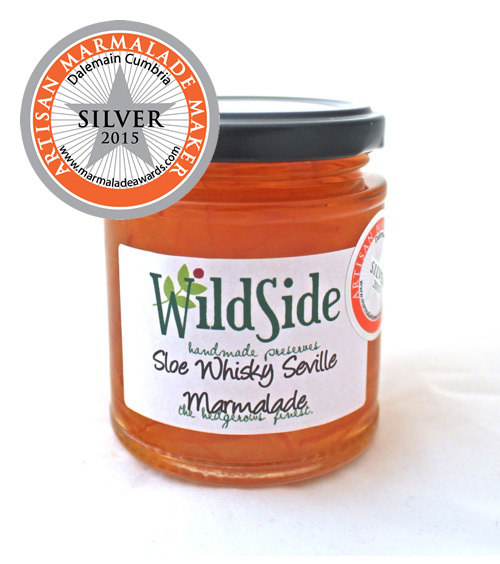 The following images are a selection of marmalades we make. 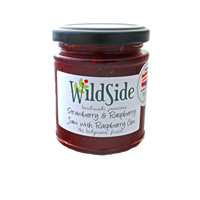 If you have one you particularly want to get hold of please get in touch and we'll do our best to make sure we have it available for you at our next event.